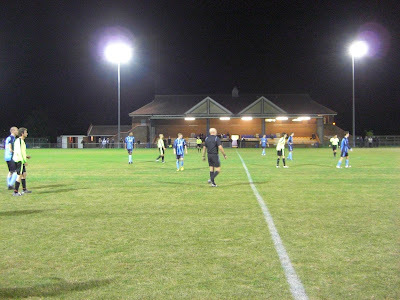 My sixty-seventh stadium of 2011 was on Tuesday 4th October 2011 at Leslie Field in Burnham-on-Crouch, Essex. The match was Burnham Ramblers vs. FC Clacton in the Essex Senior Cup 2nd Round. Leslie Field is just under a mile from Burnham-on-Crouch railway station and is situated in an industrial estate on the outskirts of the town. It has been home to Burnham Ramblers since 1987. The ground has one main all-seater stand running alongside the pitch on the south side of the venue. The structure has just over 150 seats with the players tunnel running through the middle of it. The stand also contains the players changing rooms and on top of the seating is an affable social club/bar which is decorated with flags from each of the major teams from the region. The overall facilities in this section of the ground are pretty high for a 9th tier team such as Burnham. On the opposite side of the venue to this is a small covered standing section by the half-way line as well as the team dugouts. The rest of the ground is uncovered standing viewing with metal fencing encircling the pitch. Behind the goal on the east side of the ground there is a section of slightly raised concrete steps though the area behind the opposite goal on the west side of the stadium is not really a viewing area as there is netting up in this section to prevent balls going over into an adjacent field. 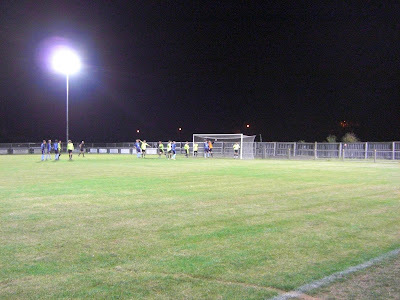 The game was an Essex Senior Cup 2nd Round tie between Essex Senior League side Burnham Ramblers and Eastern Counties League Premier Division side FC Clacton. 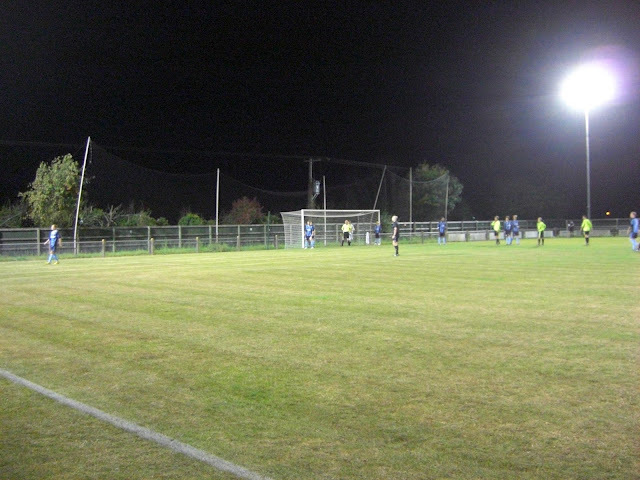 It was the home side who took the lead on 25 minutes after steering the ball low into the bottom corner of the net. Within three minutes Clacton had hit back after the ball bounced through the Burnham defence and was slotted in from close range. The teams went in level at the break but within 45 seconds of the restart the visitors had taken the lead with a low volley from 15 yards out. In the 65th minute Clacton increased their lead further when a shot across the area was deflected in. Six minutes later the game was over as a spectacular 25-yard shot dipped over the goalkeeper and into the Burnham net to put Clacton 4-1 up and the visitors finished off their victory in injury time by breaking through the home defence and finding the net to send them through to the next round as 5-1 winners.